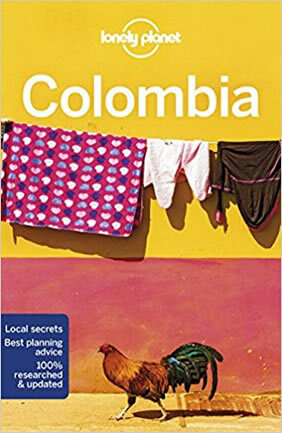 Medellin, Guatape, Cocorna, Rio Claro, and more! 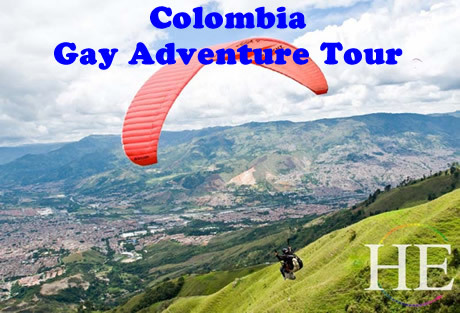 Our gay Colombia adventure tour is an opportunity to escape the stresses of modern life. This tour's activities reflect the rich and diverse natural habitat of this corner of the Andes. 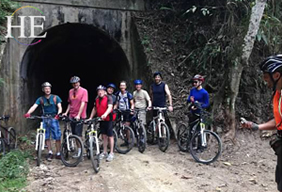 Enjoy mountain biking, paragliding, rock climbing, rafting, caving and zip-lining, and meet the friendly people of Medellin. This trip will stimulate your senses from top to bottom. Our journey starts and ends in one of our favorite cities of Latin America – Medellin. 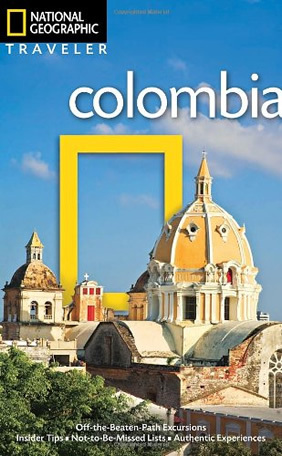 At an elevation of 5000 feet and close to the equator it is the Eternal Spring City of Colombia. Here we wine and dine in deluxe Colombian accommodations while experiencing the incredible paisa friendliness. A short distance from the city we will visit a world class center for paragliding, hiking and mountain biking. We will spend two nights in Guatapé, famous for its towering mountain overlooking its pristine lake. We then transfer to a world famous bio-reserve to delight in caving and rafting down a marble-lined crystal-clear river while staying in an eco-lodge far from the sounds of civilization, surrounded by pristine natural beauty, and return for our last night in Medellin. When you arrive at Medellin International Airport, one of our representatives will meet you to review your itinerary, and answer any questions about your trip. The transfer to our boutique hotel is included for those arriving on Day 1 of the tour, and if you arrive early enough, take time to visit our hotel's spa or fitness center. For some, the most convenient flight will be an American Airlines flight that arrives from Miami in mid-evening, so no activities are included for this evening. For those of you that arrive by late afternoon, our guides will meet you at 6 PM in the hotel lobby to provide suggestions for dinner at local restaurants. Then after dinner, take a stroll through the nearby Parque Lleras known for its vibrant night life and mingle with the locals and foreign residents who live in this lively part of the city. After a hearty breakfast we will take a short trip to the nearby mountains where our outfitter will provide our bikes for a day of mountain biking. We start by riding together down from the top of a mountain along beautiful winding country roads. We enjoy outstanding views of the higher mountains in the distance and delightful little villages and coffee plantations along the way. We also visit a 400-year-old church. This is leisurely mountain biking at its best with stunning vistas and villages. Midway along our journey, we will stop for a feast prepared in a village with locally produced delights. After our day of biking we will spend the next two nights in Guatapé – a wonderful village famous for its La Piedra (gigantic rock) and zocolos. La Piedra is famous for its staircase in a deep crevice up the side of this sheer mountain. In the evening we'll have a special welcome dinner, with wine and complimentary drinks. Today will truly be a day of high thrills and adventure. 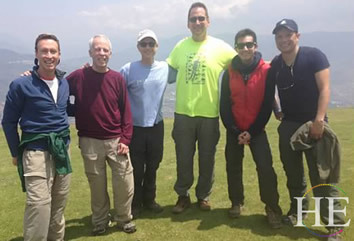 We will take a one-hour trip out of Guatapé to a world class center for paragliding. Here in Cocorna, you will have the opportunity to try many exciting activities including zip-lining, paragliding and a beautiful hike to waterfalls. We will spend the better part of the day here including lunch and participation in the various activities. Paragliding is an awesome sport and very popular around Medellin because of the perfect climatic conditions of warm air rising up out of the valley. Seat yourself comfortably in tandem with a pilot behind you and experience the thrill of soaring out over a canyon with waterfalls and catch a thermal which lifts you high above the valley and then safely land back where you began. We will return back to Guatapé and our deluxe accommodations in time for a massage and the use of the spa facilities before sitting down to another fabulous dinner. 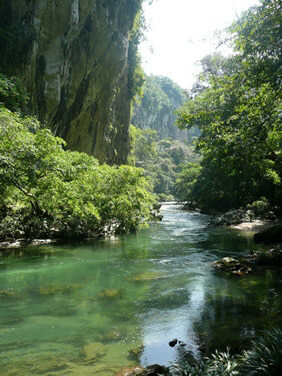 Rio Claro is an extraordinary place you will never forget. 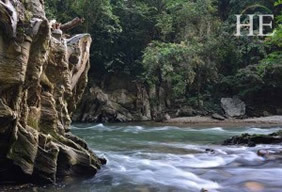 It is a private bio-reserve situated on a crystal clear river with an outdoor adventure center offering rafting, canopy tours, caving and incredible hikes to beautiful natural sites along the river. We journey less than 3 hours from Guatapé in our private vehicle and arrive in time for lunch. We then take a short 1 km hike to our modest but very comfortable accommodations called the Cabanas el Refugio. The Cabanas El Refugio are really extraordinary. They are perched high above the river, built into the cliffs with views of the water below and the surrounding forests and limestone cliffs. They have wide open front sections without windows for unobstructed views and to allow in the sounds of the full orchestra of the gurgling river and creatures of the forest. But what about the bugs you ask? Mosquitoes? Well there are none. You are more likely to have a hummingbird cruise through your abode than be annoyed by mosquitoes. This is because of the sharp topographical features of the canyon that allow few areas for water to pool for breeding of mosquitoes and also the ecological balance in the park. For the afternoon, enjoy a swim or tubing down the river or take a hike to one of the several unique destinations along the river to relax and enjoy the sights and sounds of nature. In the evening, a naturalist will present a slide show of the natural history of the area and an orientation of the various activities to enjoy at our leisure during the next two full days at this amazing refuge in the jungle. Adventure activities are organized every day and start at 9:30 AM at Rio Claro and you have a choice of rafting the river, caving, and canopy (zip line) tours. For the caving excursion, we take about a 45 minute hike through dense forest to arrive at the cave opening. Inside, the cave is lined with the spectacular marble walls and extraordinary formations throughout. This is a real spelunking experience. For an hour and a half we hike, swim, and crawl along the stream that passes through the cave. The guacharos, an endemic bird species to South America, reside in the cave and add a haunting screech above as you traverse through their daytime nesting space. The exit of the cave is another surprise which we leave to your imagination. In addition to an awesome caving experience (great way to bond and make new friends), we will enjoy a rafting trip down the river. Keep in mind this is not a wild whitewater river. The trip is not an exhilarating run down a wild set of rapids, although you will enjoy the experience for other reasons. The "Rio Claro" is a gorgeous river. The water runs crystal clear with a sand and marble bottom. Unlike rivers up north the temperature is around 78 degrees F so it's warm and comfortable for bathing. The scenery along the river is spectacular with lots of bird life and one feels they are really in a "bio-reserve". The rafting guides are fun and mischievous and entertain us well taking advantage of moments to soak us when possible. At one point we paddle under a small waterfall and also make a stop for a rope swing and a climb along a big tree jutting out into the water. They are simple pleasures that make you feel like a child again. If you're ready for more thrills, there is always the zip line course that traverses back and forth across the river. 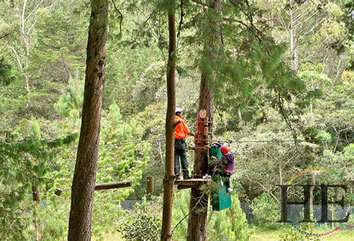 In South America, this is known as a canopy tour as the zip lines usually stretch over the top of the forest canopy. This three-section course offers a fun introduction to the sport. 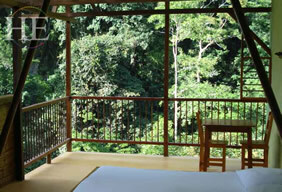 It is very safe and secure and just enough to elevate the adrenaline while enjoying the beautiful scenery below. Today we enjoy a full final day of activity at the bio-reserve. Whatever activity you missed yesterday, there will be plenty of time to experience today, including rock climbing via ferrata! We will also have guided hikes for bird watching, tubing, and visits to the secluded swimming holes along the river. In the evening, we will have the chance to take a night hike with lights to discover the hidden dens of the scorpions which glow in the light of a special UV light. By now you will have become accustomed to the tranquil feel of our wilderness setting and enjoy your final deep sleep without the sounds of civilization and just the songs of birds to wake us for our final morning in the reserve. This morning we pack up and head back to Medellin in our private vehicle. We arrive in time for lunch back at our 4-star hotel and have several optional activities to choose from for the afternoon. Visit one of several outstanding museums, enjoy the hotel spa, or shop in the local boutiques in Parque Lleras and the nearby commercial centers of the golden mile of Medellin. Tonight we will wine and dine at one of Medellin's finest restaurants in the botanical gardens and enjoy a night cap in one of the tallest buildings of Medellin looking out over the entire city. After breakfast, transfers will be provided to the international airport based on your scheduled flight. • All guides and HE Travel Tour Director. • Costs associated with itinerary changes beyond our control. No special skills are required. 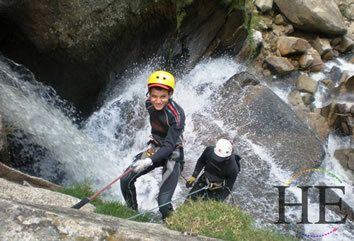 Hiking, canyoning, caving, water sports and more are available on this trip. If you are in good physical shape and like a challenge, this trip is for you. So are most of the people who travel with us. You do not need to pay extra to travel by yourself. Prices are per-person, and the single supplement applies only if you'd like a room by yourself.